LEDs disrupted the lighting industry, but as lighting efficiency improves, the focus on health and wellness must be top of mind, too. In today’s design and construction industry, we are all generally used to evolving codes and standards. Sometimes this evolution is slow, deliberate, and obvious — changing to reflect incremental adjustments in technologies or design and analysis methods. There are cycles of disruptive changes, though, that drastically shift the market’s focus. Sometimes that disruptive change originates in a new technology, while other times it originates in a new process or method for quantifying and predicting. Or it’s driven by a more fundamental shift — a change in values or focus that steers the industries involved in architectural design, construction, and operation to decision‑making based on a new framework. Lighting has undergone disruptive shifts caused both by new technologies, with the emergence of LEDs, and by changes in priorities, as first sustainability and then wellness have become key factors in lighting design. For facility managers, these overlapping shifts have created new ways to add value by offering the opportunity to improve both sustainability and wellness. Shifts in lighting technology have been significantly disruptive in the past 15 years. Once white‑light LEDs were ready for prime‑time applications, having increased in efficiency and reliability, the industry leapt in full‑force and hasn’t looked back. Lighting manufacturers abandoned “legacy” technologies, such as linear fluorescent and high‑pressure sodium, and dove head‑first into the new possibilities presented by the benefits of LEDs. The shift to LEDs as the baseline turned energy models and maintenance predictions nearly on their heads with higher efficiencies and longer (projected) lives. The larger industry lagged — energy codes were still built based on “legacy” sources to limit lighting power density. The effort to deal with existing light fixtures — retrofit them? replace them? — lagged, too, as manufacturers of LED replacement products battled technological hurdles specific to those configurations and requirements. However, the larger lighting industry has fully embraced LEDs to the point where new manufacturing of legacy‑source light fixtures is essentially extinct. Concurrent with the disruptive introduction of LED technology, the industry saw a fundamental mindset shift that really took hold in the mid 2000s with the swift and deep penetration of the LEED rating system. 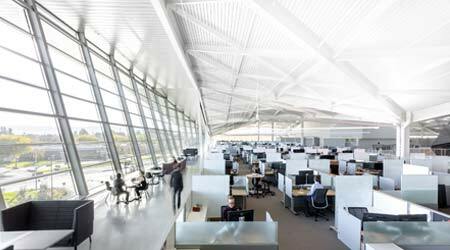 The value of LEED is not only in the fundamental change it produced in how green building is approached, but in how it provided defined and measurable guidance to designers, owners, and operators, how it aided in the comparison of various buildings, and fundamentally how it served as a marketing tool to show a dedication to the reduction of environmental impact. The next disruptive shift has dominated the past five to 10 years — a focus on “me,” the occupant. This shift has reminded us that a building doesn’t exist for itself; it exists to support the people who occupy it. And while reducing the environmental impact of a building is important, equally, if not more, important is the successful functioning of a building or space. We’ve seen this take shape in the rapid rise in popularity of the WELL Building standard, a rating system that focuses primarily on occupant wellness through incorporation of a wide array of requirements — everything from limiting the availability of sugar‑sweetened beverages to encouraging on‑site exercise to reducing VOC content in furniture and finishes. The “3-30-300” rule is a frequent talking point when addressing this increased focus on occupant wellness. Generally, in commercial real estate, costs break down roughly like this: $3 per square foot per year for utilities, $30 per square foot per year for rent, and $300 per square foot per year for payroll. A focus on energy efficiency can help us knock that $3 figure down. But occupants, the people actually using the space, are where the largest cost is. So it makes undeniable sense to improve occupant working conditions in an effort to increase productivity and reduce turnover.